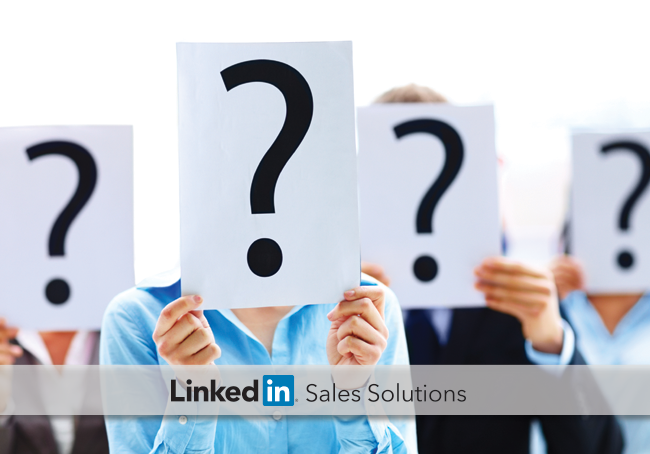 Social selling professionals are asked difficult ‘why’ questions by their prospects. Here are the keys to answering them while demonstrating value. Remember learning the ‘w’ words in elementary school? Who, what, when, where, why. Five important words that can help us put the pieces of any puzzle together, including those in the realm of sales and social selling. It’s that last word — “why” — that possesses a more esoteric nature, and one that leads to much larger, in-depth conversations when trying to define it. In the world of sales, the issue of “why” is no less challenging to address. Your prospect, the one you have been diligently getting to know throughout the buyer’s journey, wants to make sure all the key questions are answered before signing a contract. They’re less concerned with “who” you are, “what” the size of your company is, or even “what” your product is or does. Q: Why do you want to do business with us? A: Think about certain events, insights, or perspectives that have driven you to connect with this prospect. Perhaps you observed a specific pain point or opportunity they expressed within a LinkedIn Group. Look at it from their perspective. Use their own words and phrases (the same ones you read online) when providing your rationale. Q: Why should we do business with you? A: What existing connections do you have that can speak to your character and performance? Mention them. B2B buyers are more likely to connect with sales reps who have prior connections within the prospect network. LinkedIn endorsements also serve as good credibility builders. Q: Why is your product a good fit for us? A:This is the big one. As a sales professional, you need to demonstrate the value of your product or service as it relates specifically to the customer’s needs. How does it help them? You can list off product features until you’re blue in the digital face. But which features will actually provide a tangible benefit the buyer by solving real business problems? From the research you have conducted by looking at their website, blog, LinkedIn profiles, and other sources, you should have a pretty good idea of how you can match your solution to the prospect’s needs. Why, why, why? It may be an annoying question…and it’s certainly not an easy one to answer in any context. But it’s also not going away. By prioritizing these concerns, you’ll display a desire to understand your prospect deeply — and increase your odds of closing the deal. See how social selling can answer more of the big questions by downloading our free eBook "How to Move Your Team to Social Selling."